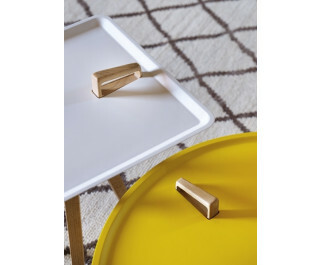 Small tables with removable tray. Everything is easily transportable through the handle apart from the function that add to the aesthetics. Tray available in colors: white, yellow, red, black, gray silk, pastel blue or gray powder. In beech oiled or painted white or black.